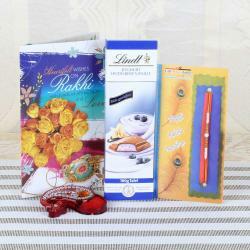 Raksha Bandhan is one of the important traditions in India. 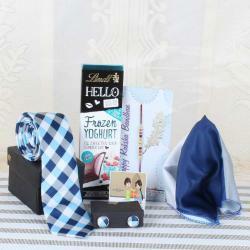 The Rakhi is associated with the Indian culture, and this exclusive designer thread binds the brotherhood bond. 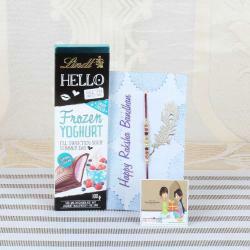 You can purchase this Rakhi with the laughing Buddha and chocolate combo package for your brother on the Raksha Bandhan. The laughing Buddha brings good luck to your brother or sister and the designer Rakhi shows your love and feeling to your brother. 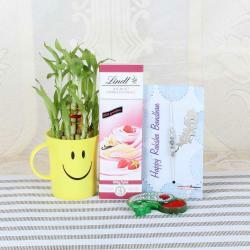 The Laughing Buddha and the Rakhi thread along with Roli Chawal Container can make the occasion overall special. The Rakhi is the most important thing in the Raksha Bandhan occasion, and the designer Rakhi thread puts on elegance in the hands of your lovely brother. 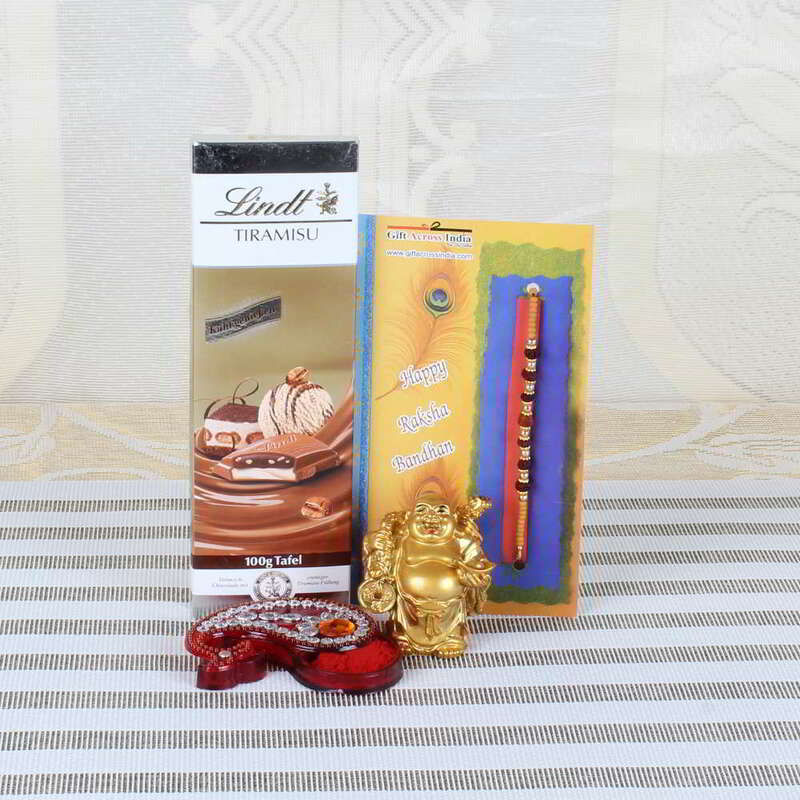 Product Consist: Lindt Tiramisu Chocolate (Weight: 100 gms), Rudraksha Rakhi, Small Laughing Buddha along with Roli Chawal Container.